The best cross stitch fabric / thread wholesale distributors to buy from for a retail store? Please advice on wholesale distributors in Canada/USA who sale in particular DMC/Anchor 6-thread cotton floss and Aida fabric to small business retailers. It’s desirable that their wholesale prices whould be lower then Michaels retail prices :-). Thank you! I am looking only for wholesale distributors dealing with store owners. 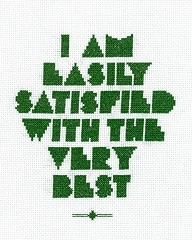 This entry was posted on Monday, March 11th, 2013 at 12:58 am	and is filed under Cross Stitching Supplies. You can follow any responses to this entry through the RSS 2.0 feed. Both comments and pings are currently closed.